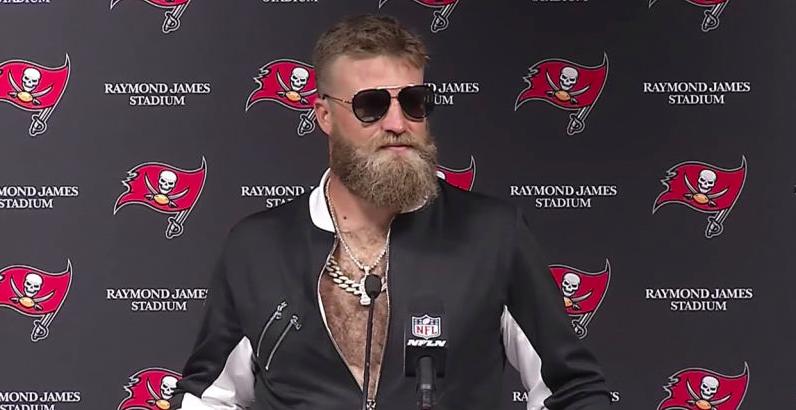 Week of September 21, 2018 | 1-2-3 SPORTS! Max Adler had been writing a human interest column for Golf Digest titled “Golf Saved My Life”, when he received a letter from Attica Correctional Facility. It was from Valentino Dixon. Since 1991, he’d been serving a murder sentence. 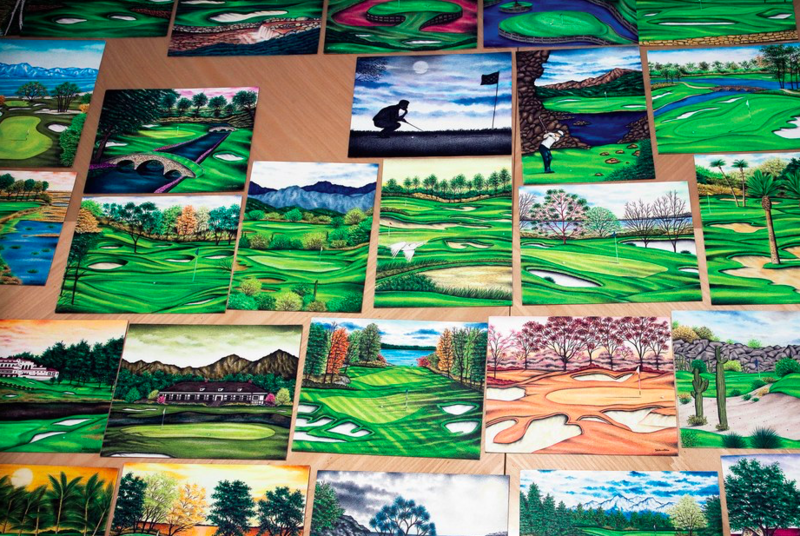 To pass the time, Dixon borrowed issues of Golf Digest from a cellmate and use the images of golf courses as references for his artwork. Dixon had never played golf in his life. After a long time of drawing the holes he saw in the magazine, Dixon began reading Adler’s column, and decided to share his version of the “Golf Saved My Life” prompt. Here’s an excerpt, but please do yourself a favor and read the entire letter here. I’ve never hit a golf ball. I’ve never set foot on a golf course. Everything I draw is from inside a 6-by-10 prison cell. The first course I ever drew was for warden James Conway. He would often stop by my cell to ask how my appeal was going and to see my drawings. Before he retired, the warden brought me a photograph of the 12th hole at Augusta National and asked if I could draw it for him. I spent 15 hours on it. The warden loved it, and it was gratifying to know my art would hang in his house. Something about the grass and sky was rejuvenating. I’d been getting bored with drawing animals and people and whatever I’d get out of National Geographic. After 19 years in Attica (N.Y.) Correctional Facility, the look of a golf hole spoke to me. It seemed peaceful. I imagine playing it would be a lot like fishing. Of course, Adler read the submission. And, as an Art major, he also appreciated Dixon’s work. Eventually, he would hear Dixon out. Dixon told him he was innocent (like everyone else), but Dixon was telling the truth. 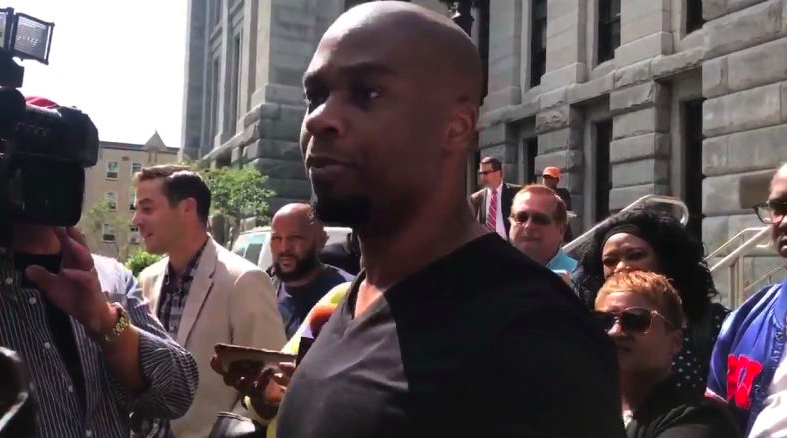 After spending twenty-seven years in prison for a murder another person confessed to, Dixon finally walked out this week, thanks in large part to a Golf Digest story. Many folks were instrumental in getting Dixon out, but it’s pretty incredible to think that a submission to Golf Digest got the wheels turning. As Adler tells it, despite the evidence, it takes a tremendous amount of work from a lot of inspired people to get an innocent man out of prison. It was kind of five years of an abyss. Just, like, nothing happened. I was probably naive [thinking the] presentation of his case would get him out of jail. It just seemed so obvious to me. But of course it didn’t. It required so much. What I realized yesterday in Buffalo [where the court released Dixon] was that it was such a cumulation of so many different people. Myself. Golf Digest. Golf Channel, who then picked it up. All the other media that then covered his story. The students from Georgetown University Prison Reform Project. Valentino’s attorneys, Donald Thompson and Alan Rosenthal. It took so much for the bough to finally break. After five years, I kind of gave up hope. I love this. I love this story so much. Oh, these two idiots. I can’t even. The hair, the accents, the star tattoo on the elbow. This is so rich. A top notch internet comment. This week, Jimmy Butler, who is awesome and good, asked to be traded from the cold hellscape that is Minnesota (kiddin, y’all!). 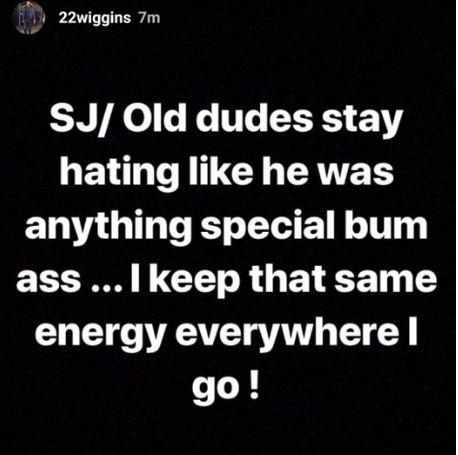 In an apparent response, the older brother of Jimmy’s teammate Andrew Wiggins, who seems like he should be awesome and good but you can watch an entire Wolves game and barely notice him, said “Hallelujah!” on social media. The obvious interpretation is that Jimmy and Andrew don’t like each other, but the deeper analysis is that they don’t like each other because Jimmy plays hard as hell and Wiggins is soft as Charmin. PAL: It’s not a good look for ex-players to be inserting themselves into these middle-school, social media ‘beefs’. That said, I do like Jackson’s instruction to Wiggins the next time they cross paths: “Keep your hands straight.” That’s a cool line. You’re Going to Pay Me How Much to Do What? The Clippers made an interesting move recently, hiring Lee Jenkins from Sport Illustrated to be the team’s “executive director of research and identity”…wait, is there an episode on Silicon Valley playing the background? Director of research and identity? Huh? Jenkins, as many of you know, is famous for his athlete feature writer at SI. He’s best known for his NBA profiles of LeBron James, Kevin Durant, Kobe Bryant. Players and their people trust Jenkins to tell their story, and the Clippers see value in Jenkins’ talent even if he’s unclear what the the hell he’s supposed to do. “Let’s all acknowledge the fact of how incredibly talented he is and his ability to tell stories, connect the dots, highlight the personalities of our players, and what it is going to highlight about the Clipper experience,” Frank said. Jenkins will report to Frank and Michael Winger, the general manager, and will not have any employees under his purview but will be assisted by the entire front office. “My hope is that I learn a lot early on especially fast, and I figure out where I can help and where I fit in,” Jenkins said. There’s also the point that his most recent employer, SI, has been taking on water for quite some time. Jenkins’s departure comes as Sports Illustrated faces stiff financial setbacks. It has had several rounds of layoffs, and reduced the frequency of its publication to 27 issues a year, from a high of 51 as recently as 2015. Its parent company, Time Inc., was acquired by the Meredith Corporation last year, and Sports Illustrated has been on the auction block for the better part of 2018. Time magazine was bought for $190 million over the weekend, and Sports Illustrated could have a new owner in a matter of days. TOB: That’s a really good point at the end, and I hadn’t considered it. The entire time reading this I was thinking it was a pure money grab by Jenkins. A journalist going in-house makes him just a PR guy, ya know? But if he’s allowed to write a book about this on the back-end, I can see how this makes sense for him. You know I always wanted to pretend I was an architect.